I wish not to write this article with the title mentioned above, because I am supposed to tell this story to those who wish to listen me today. There have been unforeseen circumstances, unfortunately, so I decided to speak my personal mind through keyboard. Three years ago, exactly in my second semester, I applied for membership in Mahallah as-Siddiq Representative Committee. I have been interviewed by a board of interviewers, who accordingly satisfied with the outcome of such interview and, hence, approved my application. The then Principal of Mahallah made me President of Mahallah as-Siddiq Representative Committee at the night of 2 February 2015. I only took and subscribed the Oath, six days later, before the Deputy Rector (Student Affairs) of the University. On that time, I attended the first (and the only) Management Course of Mahallah Resident Leaders (MCLEAD) at Batu Gajah. I escaped the second and the third MCLEAD held in Kuantan and Sepang owing to other important missions. As a citizen of Malaysia, I must congratulate the Malaysian Government for all measures taken following the murder of North Korean Kim Jong-nam on 13 February 2017. 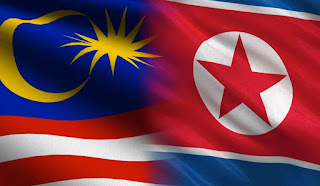 Since the first moment the murder was reported, the Malaysian Government has been working very hard to find the truth, uphold justice, retain the rule of law and, at the same time, take good care of Kuala Lumpur-Pyongyang relationship. Although one Indonesian woman and one Vietnamese woman were convicted of murder at Sepang Magistrate’s Court, days ago, Royal Malaysian Police (PDRM) continues to investigate the case, and I am personally sure that PDRM continues giving the best to solve the case and conclude the finding. 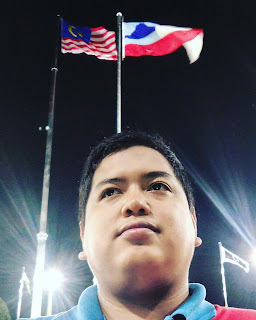 The Malaysian Government, at the same time, remains refusing anyone other than the next of kin of the deceased to claim his corpse despite arising pressure imposed by North Korean leadership; and I must salute the Malaysian Government for this decisive measure.